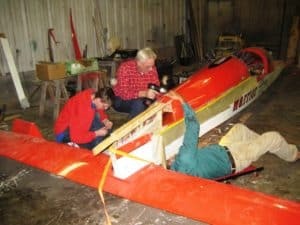 In 4LIYC iceboat shop news, the Krueger-Whitehorse shop is being torn down and the contents relocated 50 feet north of its present location. 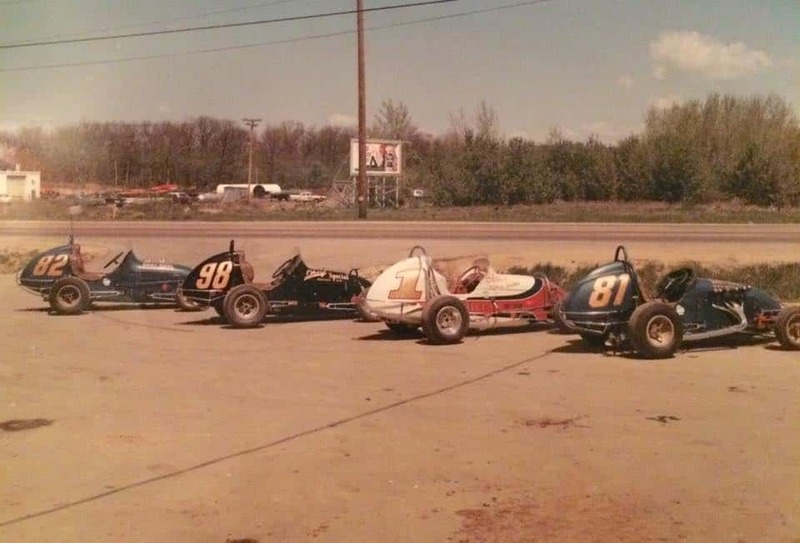 This all began in the 1950s when Walter and Harry Whitehorse needed a place to work on their open-wheel sprint and midget race cars. 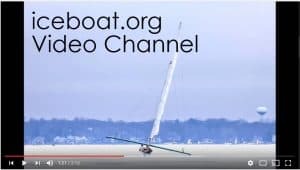 Iceboats were added to the mix in the 1960s when Harry and Walter discovered a way to keep going fast in the winter. 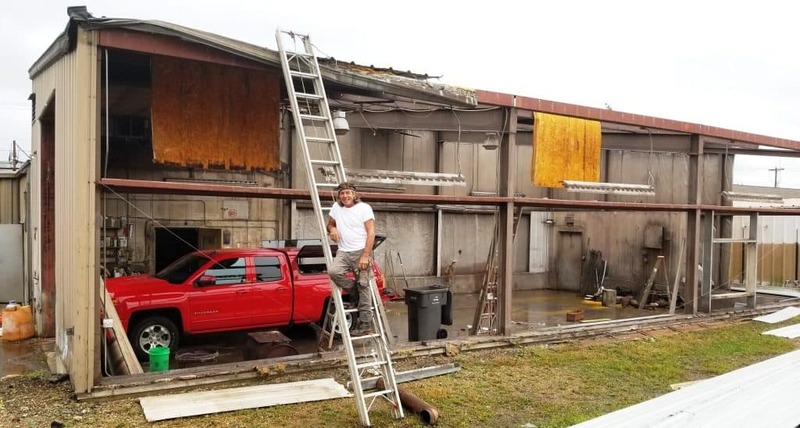 Paul Krueger has been in the shop since the beginning when he was a teenager, first turning wrenches on midgets and then working his magic on Skeeters. 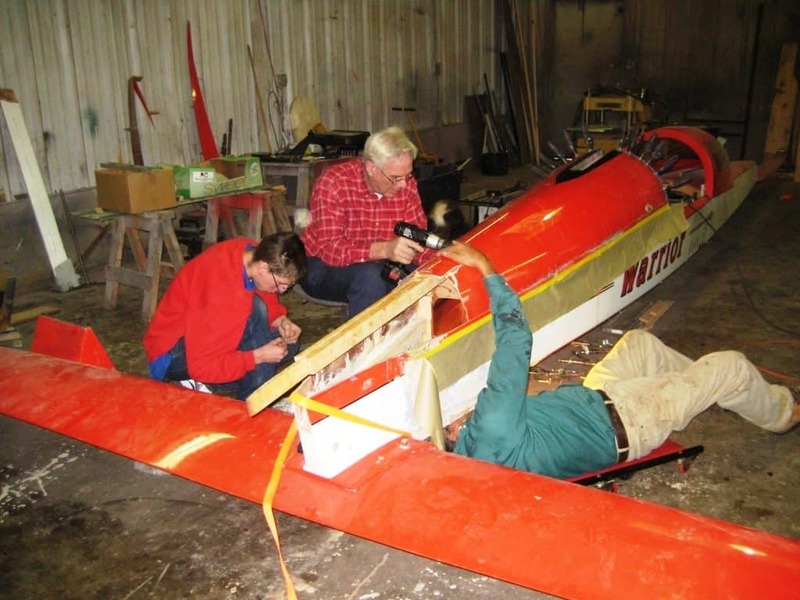 Paul Krueger and his grandson, Kyle, in 2012 help Ken attach the top of the hull to his A Class Skeeter, WARRIOR.